We teach Martial Arts for self protection and self improvement. When things go wrong return to zero, Kurai Dori "Seizing the Position" KAMAE, fall back on your Kamae. You must feel a technique being done to you before you can understand how to do it to some one else. Please e-mail outlining why you think Ninpo taijutsu is the Martial Art for you. Our classes are kept small to keep it more personal, with that in mind we don't allow the public to come in off the street and watch, all classes must be booked with the Instructor. A normal class will be one and a half hours and have a maximum of ten students and two Instructors. Private classes can be either one on one or two on one with the Instructor. These are held on a Sunday only at 10, 11 and 12 they are booked in advance as spaces are very limited. All students from any system are welcome to book, please email John O'Connor. 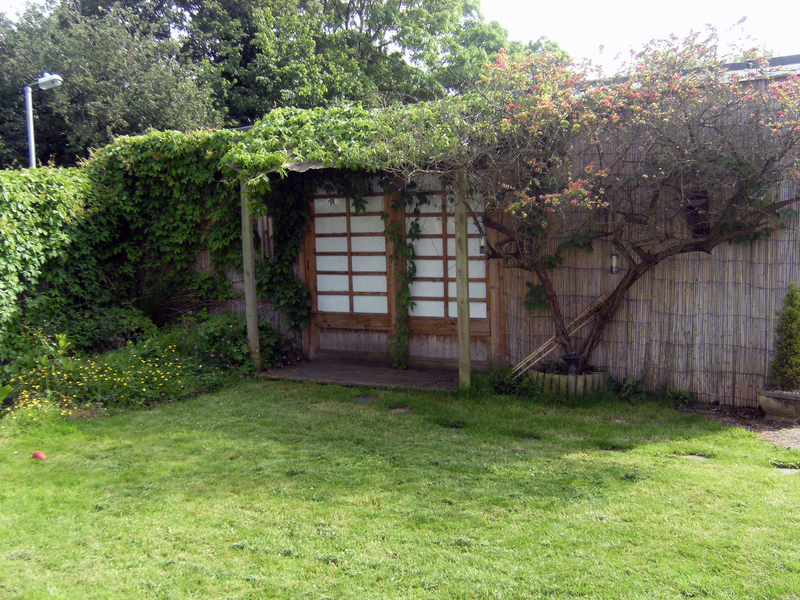 Ninpo Taijutsu Martial Arts has been in Bristol since 1985, our Dojo was the first to teach was then known as Togakure Ryu Ninjutsu. Now 30 years later we have built a reputation for producing some of the best students and Instructors in our chosen Art, we survive because they survive. With this in mind we established a private Dojo and as such student numbers are kept low to make sessions a little more personal. 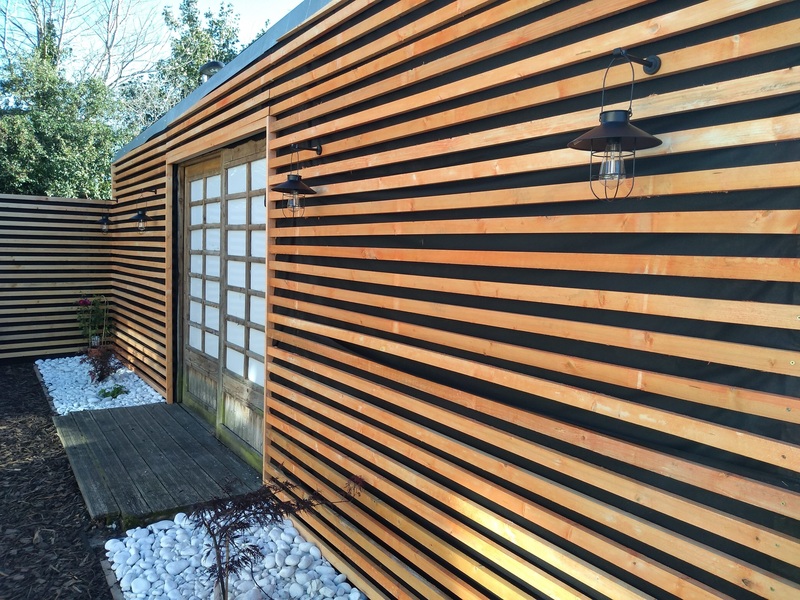 You will be received by a friendly group of like-minded Martial Arts practitioners whose only goal is to improve themselves whilst assisting others around them. "The true nature of a person can be seen when they have been given power to change and how they choose to use it"
How does Ninpo Tai-Jutsu differ from other martial arts? 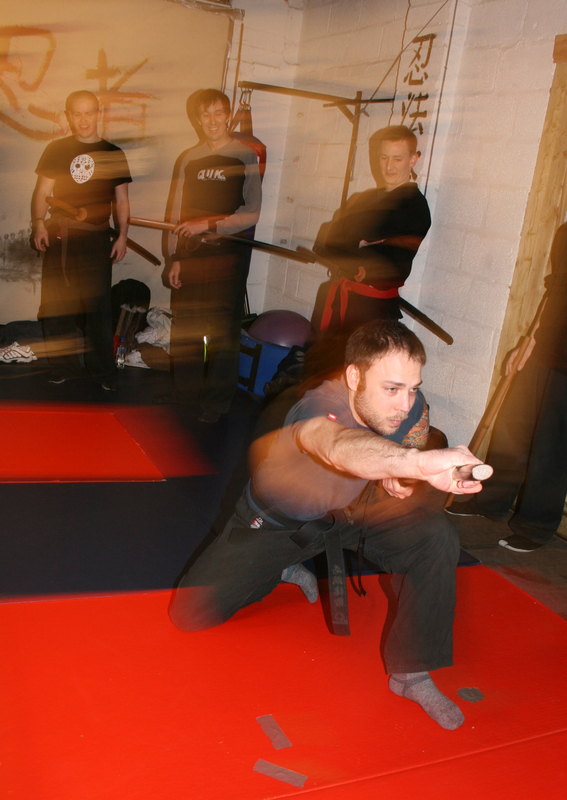 Ninpo Taijutsu has been taught in Bristol since 1985, as a Martial Art we teach to survive. 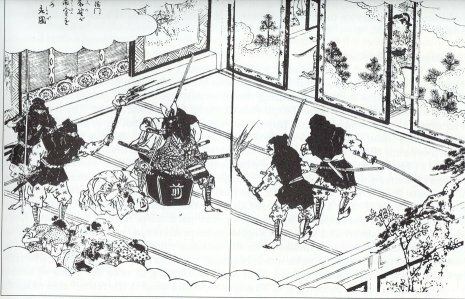 Techniques are based on an ancient and well tested system of warrior disciplines from both Ninja and Samurai, handed down by nine historical Japanese family lineages. The techniques have been developed over centuries of conflict where the defender had to persevere and win against stronger, more numerous, and better equipped adversaries. These are still transmitted in the same way as they were in the mid 1600's. As a result the training encourages a mindset of survival rather than victory, and places higher store on strategic thinking, They do not rely on strength, speed, or size but rather our art utilizes natural, relaxed, efficient body movements, distancing, timing, and absolute practicality to defeat the adversary as a result, This different mindset and training method is found in authentic Koryu, or old martial arts. This mindset allows you, the individual, to act in a free and spontaneous manner while remaining clear. This idea of "formless spontaneity" is something that dwells within all of us, so can be rediscovered for each one of us through dedicated practice. The art of Ninpo Taijutsu is not only based upon learning a set of motions or techniques, it is awareness of countless principles that allow a "technique" to happen naturally. Ninpo Taijutsu has not been degraded or watered down for sport, nor are there any artificial rules, but are true koryu "old schools" that retain their true and effective martial capabilities. Constantly improving your mind and body through both mental and physical challenges is the only way to effectively improve your life. 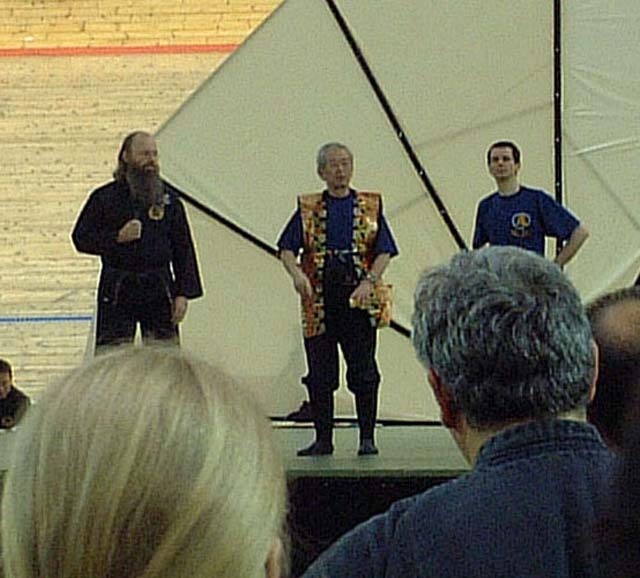 The last UK Bujinkan Taikai back in 2003 with Dr Masaaki Hatsumi founder of the Bujinkan Dojo. Means 'Nin' used in the words 'Ninja', 'Ninjutsu' and 'Ninpo', consists of 2 radicals or parts. The upper radical called 'Yaiba' means the cutting edge of a blade. The lower radical is read as 'Kokoro' or 'Shin' meaning heart. 'Nin' is also used to write 'Nintai' which means perseverance or patience, implying the important thing for a Ninja is to be patient under impossible circumstances and persevere when he cannot find a way to succeed on a mission. This form of thinking, the spirit of perseverance, is called 'Ninja Seishin'. 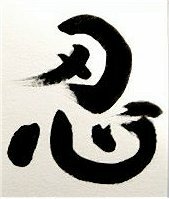 In Ninpo the practitioner learns patience and perseverance, which we view as its fundamental characteristics and with that one is able to deal with a whole variety of situations. In addition, practicing Ninpo helps to increase one's mental concentration dramatically, leading to more efficient thought processing. 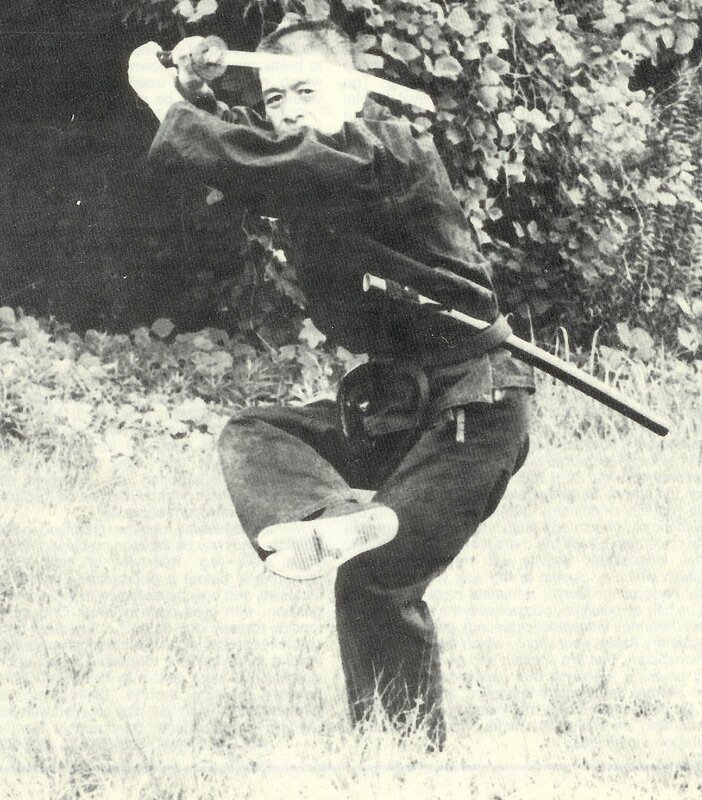 Means ("body techniques") is a term for Japanese martial arts techniques that rely solely on body dynamics as opposed to weapons and other devices. 'A truly dynamic, effective and real-life system of self defense and unarmed combat'. Ninpo Taijutsu (ninjutsu)takes patience and perseverance... which just happens to be the meaning of the Japanese character "Nin"... as in Ninja and Ninjutsu.